Seattle’s booming marijuana industry is drawing Washington natives and new residents alike toward cannabis careers at an exponential rate. Many are looking to benefit from the industry by obtaining Seattle marijuana dispensary jobs, which are perhaps the most pursued marijuana careers in mainstream culture. Since Washington legalized marijuana recreationally to adults twenty one and older after allowing medical marijuana some years earlier, Seattle has been on the forefront of this exciting industry. Cannabis enthusiasts from all walks of life are seeking jobs in budtending and reception, but aren’t sure how to get their foot in the door, or even what employers are looking for in terms of experience and qualifications. By providing an overview of Seattle marijuana dispensary jobs, I hope to offer encouragement for more research on the subject, as well as provide some industry insights as to what dispensary managers and owners are seeking in potential employees. What Marijuana Dispensary Positions are Out There? Specific roles and positions will vary from one dispensary to the next, however there are some jobs you can expect to find at most local dispensaries. Budtending is one of the most pursued Seattle marijuana dispensary jobs, according to online search queries. Since budtending is a more entry level position than growing or dispensary management, applicants with various levels of knowledge and experience are looking to obtain this position at one of their local shops. Seattle is a large city saturated with businesses, which increases opportunities, as well as competition. Dispensary jobs in Seattle, among other west coast cities like Portland, Oregon are experiencing massive numbers of applicants for relatively few positions. Most dispensaries will only have around ten employees total. For this reason, dispensary employers must search through the large pool of applicants and select someone who has a well rounded knowledge of cannabis products and legislation, as well as experience in customer service. This is primarily a service position, which cannot be stressed enough–the demographic of cannabis consumers is evolving and requires a helpful, educated staff who can effectively prescribe and suggest particular products and strains to meet the needs and desires of each individual. Budtenders must also be able to carry out other basic retail related tasks such as stocking and restocking, tidying displays, managing social media accounts and filling joints. A good budtender is able to multi-task, but remains detail oriented and energetic. Like other service related positions, dispensaries experience rushes, tasking budtenders with efficiently and calming assisting each employee until the queue has subsided. Being able to maintain your cool and accurately process transactions makes for a valuable budtender. As the face of the industry, budtenders must represent their dispensary with confidence and kindness. A great budtender is reason enough for some to make a habit of a specific dispensary. In the same vein, an unhelpful or aloof budtender might keep customers from every visiting that dispensary again. Reception is another sought after position as it maintains most of the same responsibilities as other office administration jobs. Cannabis connoisseurs with experience in this field may find this job to be perfect for them, as it utilizes their admin skills and piques their interest in marijuana. In Seattle dispensaries, there is some crossover between reception and budtending positions, but each position is an involved job in its own right. Receptionists must be able to process valid identification and consistently perform data entry related tasks in order to keep the store organized. A good receptionist is a major asset in keeping a business afloat. Receptionists are often responsible for relaying information to managers and problem solving with daily tasks. This might include contacting IT support, or reaching out to other parties. Media and marketing positions are an important facet of a dispensary’s success. Positions of this kind may be contracted out to freelancers who will update websites and other media accounts when necessary. Daily social media and basic marketing is often carried out by general staff, but major branding and design is often delegated to professionals. Dispensary management opportunities for experienced members of the cannabis industry are available, though some dispensaries prefer to promote from within. Dispensary management involves training and leading employees in daily operations, conferring with dispensary managers, making employee schedules and assisting customers directly. Additional duties in ordering merchandise, marketing and many other tasks can be expected when holding a leadership position of this kind. Unlike entry-level budtending or reception, this is not a job to pursue unless you have professional experience in management and/or the marijuana industry. Dispensary Ownership is not surprisingly the highest attainable position in Seattle marijuana dispensary jobs, but it also contains the most risk and opportunity for gain and loss. Owning a dispensary involves obtaining enough capital to fund the business and pay all fees associated with legislation. Owners must have a background in business, or it will be very hard to achieve success. An owner must comply with the laws set forth by medical and/or recreational legislative boards, or risk having their business shut down. 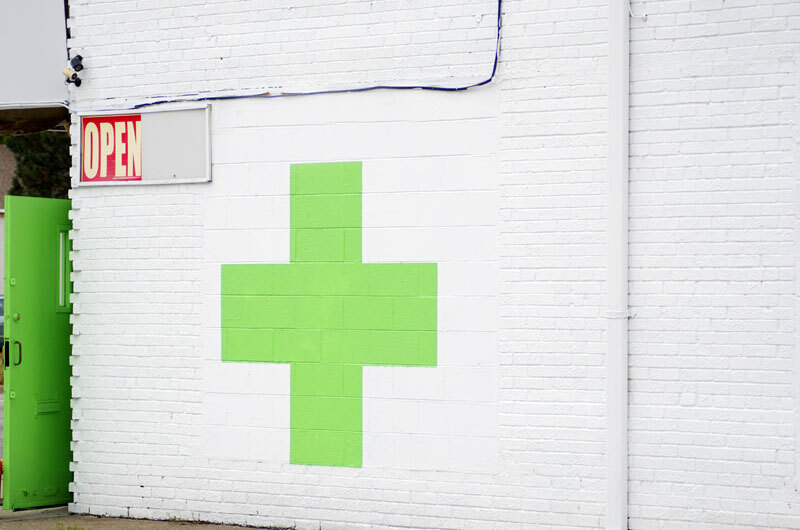 Due to increasing competition, owners must be able to elevate their dispensary above the masses by highlighting what makes their shop special. Seattle is unique in its saturation of marijuana dispensaries. Washington law has increasingly allowed for the opening up of more dispensaries in recent years, creating job opportunities largely due to Seattle’s already thriving tourism industry. For many visitors to The Emerald City, marijuana dispensaries are seen as a novelty like Starbucks, encouraging tourism companies to offer tours and workshops for competitive prices. As far as Seattle marijuana dispensary jobs pay is concerned, entry level positions in budtending and reception start at minimum wage plus tips with room for growth. Like any customer service related position, proving your consistency as a worker over time will allow for steady pay increases and promotion opportunities. Manager wages are often competitive and reflect the amount of responsibility they will be taking on. While the average pay for dispensary workers may not be particularly high, there are many benefits for employees in the form of a healthy discount on products. Working Seattle marijuana dispensary jobs is valuable experience to have if looking to advance in the marijuana industry to a position in management, growing or any other speciality sector of the industry. Having hands-on experience working with all sorts of marijuana products and consumption methods offers excellent daily training on the many facets of cannabis. Knowledge of strains and medical uses of marijuana is another priceless proficiency to have when looking for future opportunities. All things considered, when looking for Seattle marijuana dispensary jobs, keep in mind that this is no ordinary position for the novice smoker. Dispensary workers are passionate about their product and customer service and are rewarded for their dedication!